In our series dealing with the error messages normally observed on Windows, we would present one of the common errors that would frustrate you. Error 107 can be an annoying error which is related to Google Chrome. The methods here would help you solve the certificate error in Chrome . The error is normally concerned with the https sites. 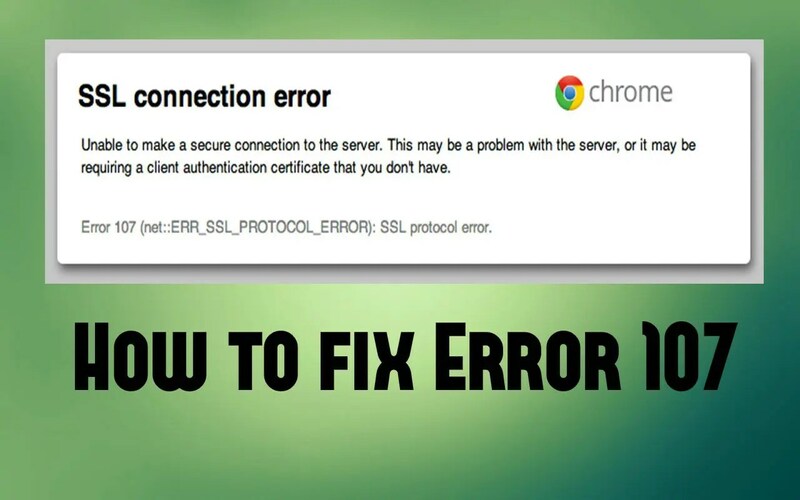 Let us go through the tricks you can use to Fix Error 107 in the following paragraphs. 0.1 What is Error 107? 1 How to fix Error 107? Error 107 is also known as SSL Protocol Error. The error is normally related to Google Chrome. In fact, it is an SSL connection error for the uninitiated. Parental lock system installed on your system. Your computer may not have the requisite authentication certificate needed for the secure connection. How to fix Error 107? The exact fix you can employ to resolve the Error 107 would depend upon the actual symptoms and the reasons that have been the root cause of the error message. Let us go through some of the useful methods you can use to sort out the issue. Scroll down to the bottom and click on Show Advanced Settings. 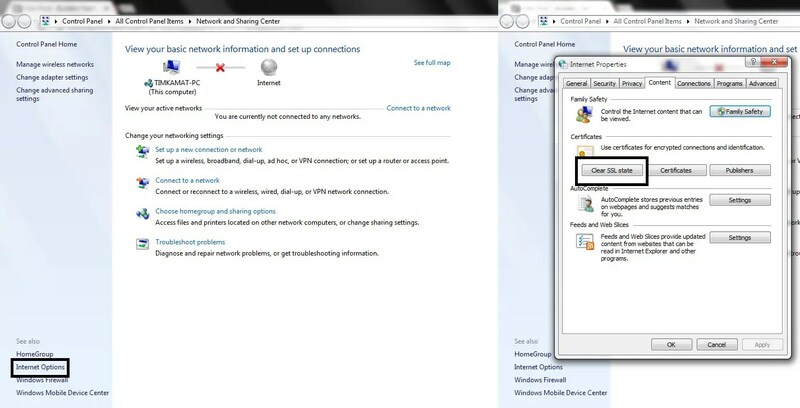 Locate Network tab and find Change Proxy Settings. Find Advanced tab and scroll down to Security section. Restart your Chrome browser. Your issue should get resolved. In the Internet Properties, click on Advanced. Now scroll down to the Security section, and check the boxes for Use SSL 1.0, Use SSL 2.0 and Use SSL 3.0. Restart your Chrome and check if the Error 107 has been resolved. Navigate to the location C:\Windows\System32\drivers\etc\. 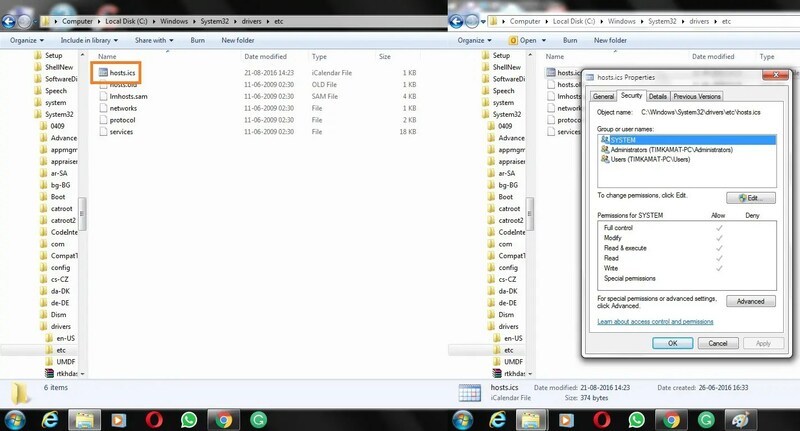 Right click on the Host file and choose Properties. Now, click on System and look for the permissions. Check Allow and uncheck Deny for all the options. Restart Chrome and find if it resolves the issue. Now click on Network and Sharing Centre and click on Internet Options. Under Internet Properties, locate Content tab. Now click on Clear SSL State. Now click on Apply button and then OK. This will clear the complete SSL status on your Google Chrome installation. This should fix error 107 instantly. Look for Network and Internet. Choose Internet Options and then locate Security tab. Click on Internet and then Default Level. Adjust the slider to set the level to Medium. Now, navigate to Privacy tab. Adjust the slider to set it to Medium. Click on OK and then, restart Chrome. This should ease out the issue of error 107. On the address tab, type in Chrome://flags/#enable-quic and press ENTER. Locate the entry for Experimental QUIC protocol and choose Disable from the drop down menu. This disables the settings and the error 107 on your Windows is resolved. Presented above are some of the tips and solutions you can use to get the issue of Error 107 resolved. We assume at least a couple of them should be able to help you resolve the SSL Protection error effectively. The error invariably is an indication that your browser is facing some issues with respect to authenticating the server or the site that you are trying to access. The methods featured above help you sort the issues easily. Have you used any of the methods we have indicated here above.? If yes, do share your views and opinions with us. How did the tips work for you? If you are aware of any other methods to get the issue of error code 107, kindly share them with us. This will help our readers to have better options to fix error 107 easily.